The newest Pros to be added to the Sweets Kendamas team! Originally announced at the 2017 Minnesota Kendama Open, the Nick and Zack Gallagher Pro Models are finally available! Both worked with the Sweets design team and artist Stephen Maxam to come up with a Pro Mod that was is unique to them, and excellent to play. 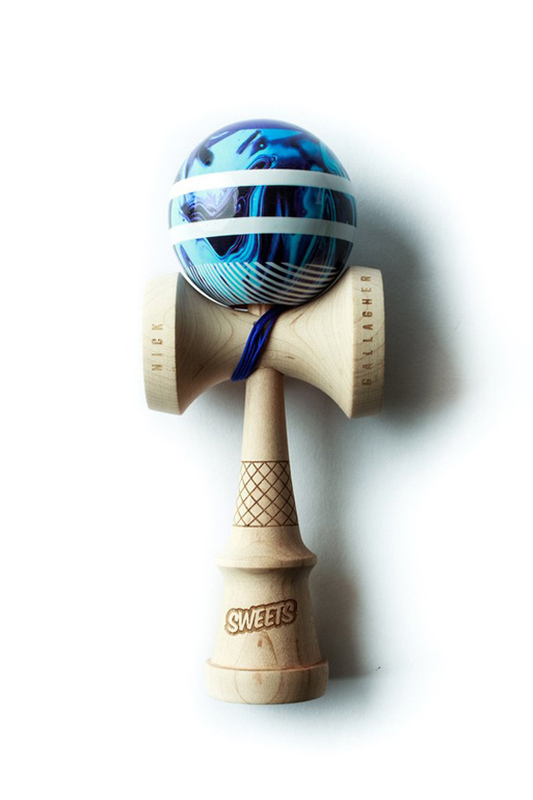 MAIN FEATURES: Custom Engraved Prime Pro Maple Ken, Original Art by Stephen Maxam, Prime Sticky Clear Tama, Unique Tama Designed by Nick or Zack, Metal Spinner Bead, Custom Dyed String. Spare string, stringing tool and stickers in package.